Police Officers, Police Specials and PCSO’S around the country are issued this type of holder. However if your not one of the lucky ones then get your hands on one of these quick released Handcuff holders for a great price. Made of a High Quality Leather and designed for Hiatt and TCH rigid Cuffs they can be rotated into 3 Positions and locked in place. There is a secure thumb break for a one handed release of the cuffs when you need them in a hurry! A great piece of kit that you won’t be disappointed with and worth the money if its not routinely issued to you. They are much quicker at releasing your cuffs than any body armour handcuff holder. 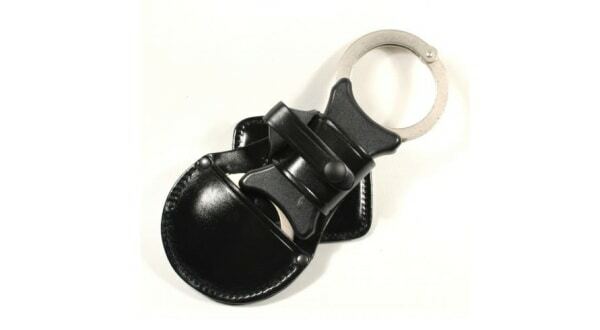 So lock up your prisoners in super fast time with these Price Western Handcuff Holder.